In this column, the file extension of the files, which should be opened with external programs, are shown. Enter the path of the external program here. Click on this button to enter a new external program. Removes a program from the list. 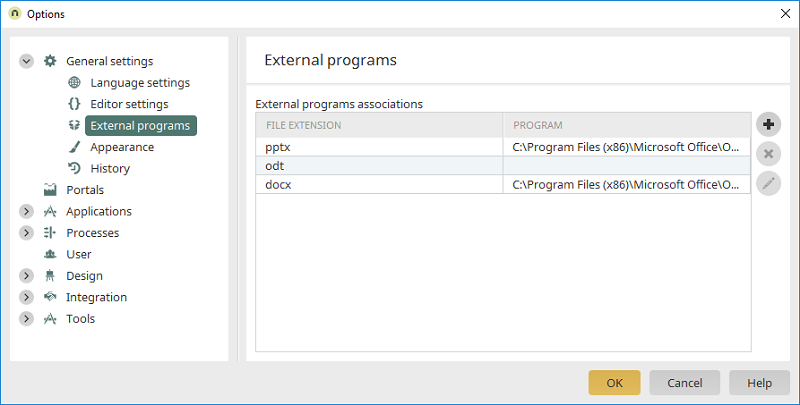 Allows you to edit the path of the external program. In order to use the full range of functions in the document generator, an appropriate text processor should be installed to edit *.odt files (such as OpenOffice / LibreOffice>).